Go easy on me. It's a work in progress (as they say). But the BIG IDEA is simple and powerful! FREE online tutorials for business owners, startup ventures and entrepreneurs. But...this channel is different because its hosted by yours truly....and there are NO SALES PITCHES for products, services, coaching, consulting....nothing. Just pure, unadultrated, savvy, street smart business insight. I'm a big fan of Kindle Direct Publishing. I built an entire business around the platform! There are plenty of downsides, problems and issues with KDP. But, I've also watched Amazon fix and eliminate hundreds of problems or glitches within a few hours or days. Amazon deserves a lot of credit. Old World print book publishing will probably survive. Most people love print books, including me. But Old World publishers, and especially the Big Boys in NYC -- are mostly living off an old, overpriced system. Digital and mobile publishing is the hot rising trend, not old world print publishing. I've enclosed some cool insight from Nick Laight. This is cool. 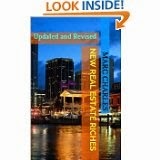 I've developed a new money making program called MicroGig Riches. It's published by Great Escape Publishing and Agora. 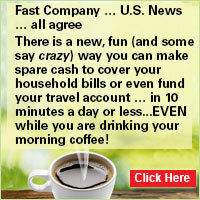 Fast Company … U.S. News … all agree. This is an innovative way to make spare cash. I'm doing this for myself! I've enclosed an interesting app platform for sale. I like most of the listings by AppBusinessBrokers.com. The enclosed business generates more than $200,000 annual revenue with nice profit margins. across two very popular sites and profit as a middleman. However this is not the typical â€œmake moneyâ€ type of offer. My Importing Fortunes Program, coaching and instruction is live....AND it works. in the health and fitness section last summer. can be used with other mobile app businesses. the most valuable piece of the acquisition. PS. Not interested in these listings? This stuff is never advertised! And most people don’t make a dime on this loophole so they’re not going to tell you about it either. I used the loophole on a flight from LA to Boston recently, and when I mentioned it to the airline reservation clerk she pretended like it didn’t exist. But believe me….it’s very real….and it works! One airline was fined $375,000 recently for trying to withhold this loophole from a passenger. And forget about getting info from Uncle Sam. Maybe it’s the $40 million airline lobby…oh well. · Harvey Oreck, a former barrister from Vancouver, British Columbia has scored more than 30 free flights! · Christopher Lotz, from San Jose CA scored a FREE flight voucher worth about $1,000 -- enough for a European trip! Airline overbooking is not illegal. Airlines always overbook flights to compensate for the "no-shows." The downside to overbooking is passengers typically get "bumped" as a result. When overbooking occurs, the Department of Transportation (DOT) requires airlines to ask passengers if they’re willing to give up their seats voluntarily, in exchange for compensation. Bumped passengers are entitled to compensation! According to the Associated Press, 69,000 passengers were bumped in 2010! Most of these passengers didn’t receive a dime in compensation because they didn’t know how “the game” is played. At the check-in area, airline employees will look for passengers willing to give up their seats when a flight has been oversold. If you're not in a hurry you can give up your seat in exchange for compensation and a later flight. Can the airline provide a confirmed seat on the alternate airline? The alternate flight may be acceptable. But if they offer to put you on standby flight that's full, you could be stranded. Will the airline provide other amenities such as free meals, a hotel room, phone calls, and ground transportation? If not, you might have to spend the money they offer you on food or lodging while you wait for the next flight. This is a big one! The DOT does not say how much an airline is required to compensate “bumped” passengers. This means the airlines can negotiate with passengers for an acceptable amount of money or a free trip (and possibly other incentives). The airlines provide employees with guidelines for bargaining with passengers. They may select the volunteers who are willing to sell back their reservations for the lowest price! If the airline offers you a free ticket, ask about the restrictions. How long the ticket good for? Is the ticket "blacked out" during holiday periods? Can the tickets be used for international flights? This is a stickler! I received a free flight and compensation, but I found out later it couldn’t be used for a flight to Bermuda. I complained and the ticket was revised! Most importantly, can you make the reservation, and if so, how far before departure are you permitted to make it? Denied Boarding Compensation or DBC requires airlines to give all involuntarily bumped passengers a written statement describing his or her rights. The statement must explain how the airline decides who can board an oversold flight and who does not. Involuntary bumped passengers are entitled to a payment of “denied boarding compensation”. The actual amount depends on the price of their ticket and the length of the delay. If you are bumped involuntarily and the airline arranges substitute transportation which is scheduled to get you to your final destination (including later connections) within one hour of your original scheduled arrival time, no compensation is required. If the airline arranges substitute transportation which is scheduled to arrive at your destination between one and two hours after your original arrival time (within four hours on international flights), the airline must pay you an amount equal to your one-way fare to your final destination, with a $400 maximum. In most cases you’ll keep your original ticket and use it on another flight. If you choose to make your own arrangements, you can request an "involuntary refund" for the ticket for the flight you were bumped. The “denied boarding compensation” is essentially a payment for your inconvenience. In addition to the ticketing deadline, each airline has a check-in deadline. This is the amount of time before scheduled departure when you must present yourself to the airline at the airport. For domestic flights most carriers require you to be at the departure gate between 10 minutes and 30 minutes before scheduled departure, but some deadlines can be an hour or longer. To be eligible for compensation, you must have a confirmed reservation. A written confirmation issued by the airline or an authorized agent qualifies you in even if the airline can't find your reservation in the computer, as long as you didn't cancel your reservation or miss a reconfirmation deadline. You must meet the airline's deadline for buying your ticket. Discount tickets must usually be purchased within a certain number of days after the reservation was made. Other tickets have to be picked up no later than 30 minutes before the flight. Check-in deadlines on international flights can be as much as three hours before scheduled departure time. Some airlines may require you to be at the ticket/baggage counter. But most airlines require you to be in the boarding area. Important Note: If you miss the ticketing or check-in deadline, you may have lost your reservation and your right to compensation if the flight is oversold. No compensation is due if the airline arranges substitute transportation which is scheduled to arrive at your destination within one hour of your originally scheduled arrival time. If the airline must substitute a smaller plane the carrier is not required to pay people who are bumped as a result. In addition, on flights using aircraft with 30 through 60 passenger seats, compensation is not required if you were bumped due to safety-related aircraft weight or balance constraints. The rules do not apply to charter flights, or to scheduled flights operated with planes that hold fewer than 30 passengers. The rules do not apply to international flights inbound to the United States. However some airlines on these routes may follow them voluntarily. When a flight is oversold and there are not enough volunteers, some airlines bump passengers with the lowest fares first. Once you have purchased your ticket, the most effective way to reduce the risk of being bumped is to get to the airport early. For passengers in the same fare class the last passengers to check in are usually the first to be bumped, even if they have met the check-in deadline. Allow extra time; assume that the airport access road is backed up, the parking lot is full, and there is a long line at the check-in counter. However, if you arrive so early that your airline has another flight to your destination leaving before the one that you are booked on, either switch to the earlier flight or don't check your bag until after the first flight leaves. If you check your bag right away, it might get put on the earlier flight and remain unattended at your destination airport for hours. Airlines may offer free transportation on future flights in place of a check for denied boarding compensation. If you are bumped involuntarily you have the right to insist on a check if that is your preference. When you cash a check (and accept the free flight), you lose the right to demand money from the airline later on. If being bumped costs you more money than the airline will pay you at the airport, you can try to negotiate a higher settlement with their complaint department. If this doesn't work, you have 30 days from the date on the check to decide if you want to accept the amount of the check. You are always free to decline the check (e.g., not cash it) and take the airline to court to try to obtain more compensation. Don't be a "no-show." If you are holding confirmed reservations you don't plan to use, notify the airline. If you don't, they will cancel all onward or return reservations on your trip. There will always be airline passengers with urgent travel needs. Their top priority is arriving at their destination on time. The airlines are required by law to seek out the passengers who are willing to give up their seats for compensation before bumping anyone in- voluntarily. Harvey Oreck whom I mentioned earlier is often referred to as a “professional bumper”. When Harvey hears an announcement in the airline terminal that begins “Ladies and Gentlemen…” he knows it’s a signal for an overbooked flight. He also knows it means free trips and/or cash vouchers for the “bumped” volunteers. Oreck, a semiretired lawyer and former barrister from Vancouver, British Columbia, estimates he and his family have scored airline vouchers for about 30 flights from the bumps that he has taken over the past five years, paying for trips to Thailand, Mexico and other locales! On a recent trip home from Las Vegas, Harvey accepted a bump to a later flight and accepted a free flight voucher. A few minutes later, someone backed out of his original flight, allowing Oreck to go home as planned and keep his already-issued voucher! "You have to be alert and proactive," Oreck said. Airline over-sales swelled 12% in the 2010, giving flexible fliers a greater chance to land some great freebies and offset the rising cost of air travel. After talking to airline employees, savvy travelers, professional “bumpers” and travel experts I refined my list to seven of the best ways to increase your odds of getting bumped. The secrets of world travel using the airlines loopholes. You can also get bumped for cash! Have fun and play nice…..and please post your comments! This “Loophole” will help you save you big time money, time and energy! But you can also use it to get paid! That’s what I’m talking about! You can apply the “loophole” in this week’s issue TODAY. Would you like to learn about more of secret loopholes and insider tactics for getting HUGE discounts, VIP treatment, freebies, invitations and even CASH? I thought so….. then check out my new program now…by clicking here. · They have better organization. FareCompare.com is an independent airfare shopping site with most of the tools necessary to help consumers find the best deals available quickly and easily. Every day FareCompare.com processes feeds from more than 500 airlines - totaling more than 270,000 city pairs worldwide. Orbitz is an online travel company that enables leisure and business travelers to research, plan and book a wide range of travel products. Orbitz also owns CheapTickets, ebookers, HotelClub, RatesToGo, the Away Network, Asia hotels, and corporate travel brand Orbitz for Business. Tom Parsons, one of the most sought-after travel experts in the country. He is a consumer champion, offering information on travel bargains, the airline industry and its effects on consumer pocketbooks. From frequent flyer miles to travel deals to the nation's seemingly never-ending changing security policies, Tom is on the beat. Yapta is designed to help consumers manage fluctuating travel prices so they know when to "buy low". Yapta conducts daily price checks on the specific flights and hotels and alerts you when prices drop or when they fall within your budget. SmarterTravel.com is one of the largest online travel resources on the Internet for unbiased travel news, deals, and timely expert advice. They research the latest and best travel deals, compile travel guides for destinations worldwide, and offer money-saving tips for travelers. Save up to 82% on Last-Minute Cruises. The original cruise clearinghouse! The largest discount cruise agency in America!